BALIF - Picnic in the Park this Saturday! Picnic in the Park this Saturday! Come join the Barristers Club Diversity Committee as we hold a joint potluck picnic in collaboration with the Minority Bar Coalition, BALIF (Bay Area Lawyers For Individual Freedom) and CMCP (California Minority Counsel Program). 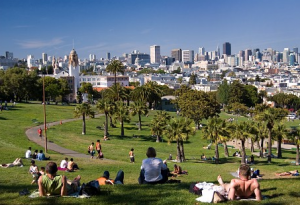 This family friendly event will take place on Saturday, August 14, 2010 from 11am – 4pm at Dolores Park in San Francisco ! Bring the kids, friends, and family, for a fun day of food, fun, and sun! We kindly request attendees to bring a small dish to share. Please contact Josiah Larkin (jlarkin@cmcp.org) for any questions.